We designed this stunning wedding cake design in our appointment together in the snow, soft pale blue to match the bridesmaids dresses as the base shade with piped pearls, hessian with lace over lay to match the table runners, embossed sugar lace and lots of lovely sugar flowers to match the bouquets byNadia Di Tullio Flowers .. 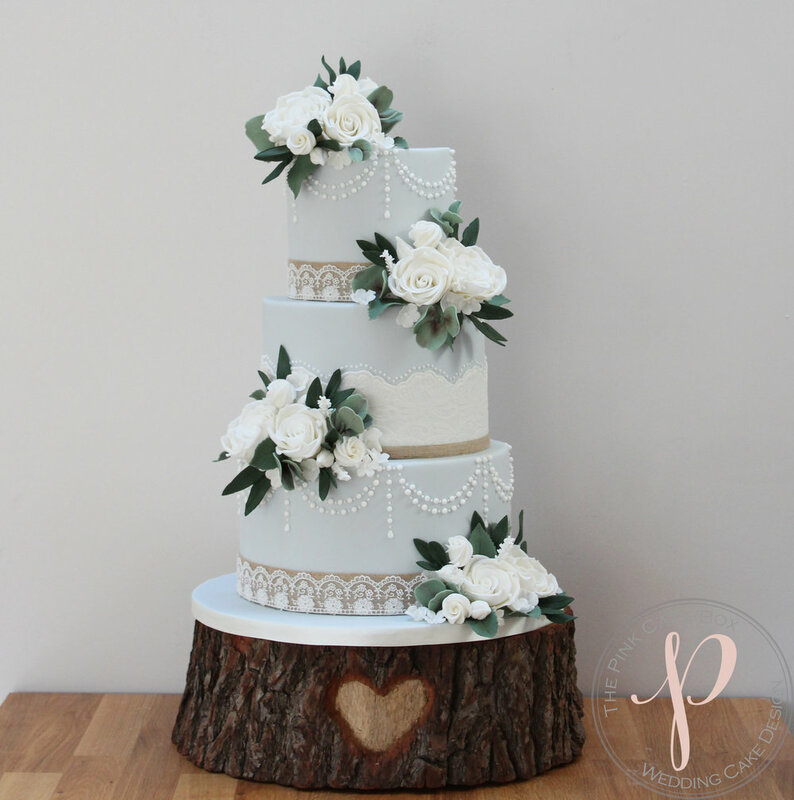 It all came together beautifully into such a soft and pretty wedding cake, I didn't want to let this baby go!! They chose tiers of Salted Caramel with a dark sugar syrup, salted caramel dulce de leche and vanilla pod buttercream, Red Velvet with vanilla pod buttercream and Zesty Lemon and Lime with lemon drizzle syrup, lime curd and lemon buttercream.